Microsoft is constantly updating the applications that make up Office 365. 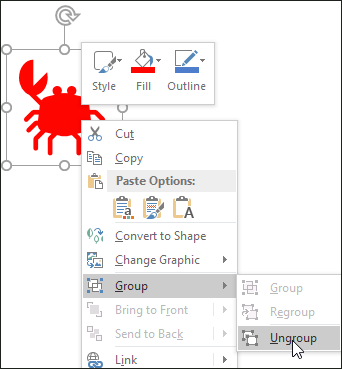 After a recent update, I was delighted to see that PowerPoint (and Word and Excel for that matter) not only include icons, the icons can be modified (change colors at will), ungrouped, and then edited as needed. 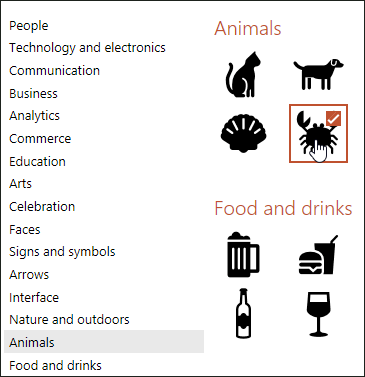 I'll be focusing on using icons in PowerPoint during this article, but the same functionality exists if you're using the other Office 365 tools. 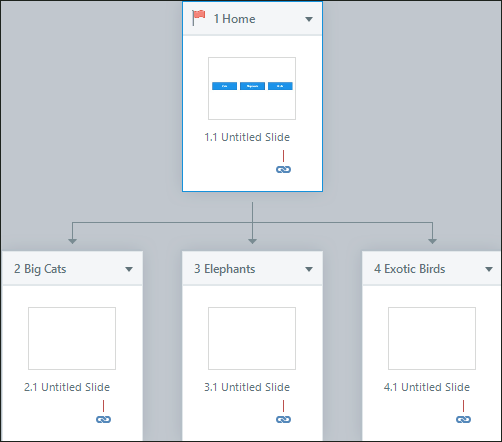 First, create a new PowerPoint presentation (or open an existing presentation). 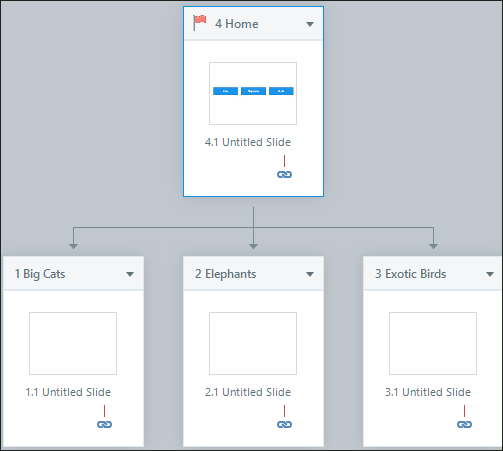 Working on any slide, select the Insert tab on the Ribbon. 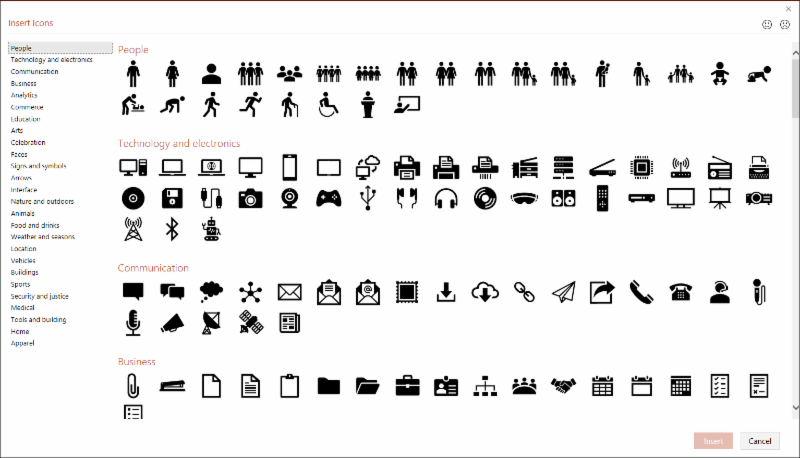 You'll find the Icons tool in the Illustrations group. After clicking Icons, the Insert Icon dialog box opens. I right-clicked the icon again and chose Edit Points. 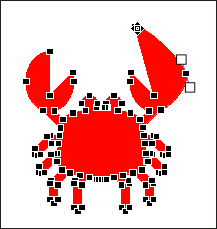 I zoomed closer to the slide and then dragged the points making up the claw until I had the length I wanted. How cool is it that you can easily edit these icons? 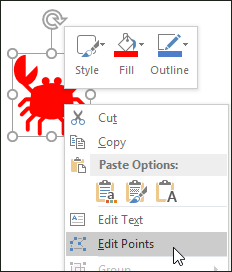 Note: If you don't see an Icons icon on the Insert tab of the Ribbon, or you're unable to ungroup/edit the icons, check your PowerPoint version (it's possible that your version is older than mine). 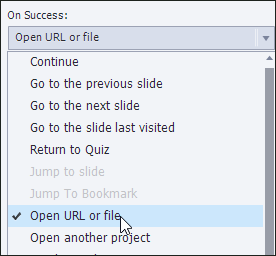 To check your PowerPoint version, click the File tab and then choose Account. Click the About PowerPoint button. The version number is listed at the top of the About dialog box. Do you need help with your PowerPoint presentation? Bring an existing PowerPoint deck to an open-forum style live, online workshop where AJ Walther, our Chief Creative Officer, will help you get moving in the right direction toward a fresh and modern design for your presentation. I'm teaching a hands-on workshop in Houston May 3: "Create an Articulate Storyline 360 eLearning Course In a Day." Bring your own laptop (use the free 30-day trial version of Storyline for the class), start with a blank project, and leave with a working eLearning course. You can listen to a podcast about the session here. When I work with scenes in Articulate Storyline, I like it when the number that accompanies each scene is logical. Take the three scenes below for instance. 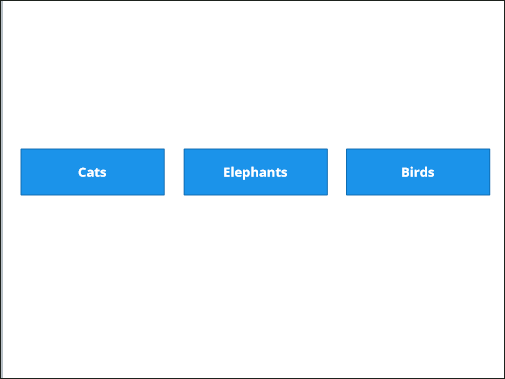 I'm creating an eLearning project for a zoo, so naturally I have scenes for Big Cats, Elephants, and Exotic Birds. Because I created the Big Cats scene first, it was automatically tagged as my Starting Scene (as indicated by the red flag in the image above). Next, I created the Elephants scene, followed by the Exotic Birds scene. Notice in the image above that in addition to having appropriate names, the scenes are logically numbered (1, 2, and 3). The scene numbers are based on their creation order. While logical, the numbers do not indicate the order in which any scene might be seen by my learners. In fact, I can make any scene the Starting Scene and, using Triggers, I can make the third scene appear before the second scene. I created a fourth scene and named it Home. On the Home scene, I added three buttons to a slide. Each of the buttons were given Triggers that jumped to a different scene in the Story. I then made the Home scene the Starting Scene (this is easy to do with a simple right-click on the scene via the Story View). After making the fourth scene (the Home scene) the Starting Scene, the drama started. In the image below, notice that the pesky Home scene is positioned correctly (above the other scenes). And you can clearly see the arrows indicating the button jumps between the Home scene and the other scenes. But do you also see the horror in the image above? Look at that number 4 to the left of the Home scene's name. Noooooo! The Home scene is my first scene, and as far as I'm concerned, it should be numbered with a 1, not a 4. Of course, Storyline doesn't agree with me... a numbering sequence of 4, 1, 2, 3 is perfectly fine! At the end of the day, the scene numbers don't truly matter. Learners will be able to move freely around the zoo, they'll never see the numbers, and won't ever know that the scene numbers are out of order. But I'll know the numbers are out of whack... and so will you! Fortunately, while not obvious, the fix is easy. While in Story View, select the scene that's out of order and cut it to the clipboard. Without selecting anything, immediately paste the scene back into Story View. And that's that. If you're like me, you'll be delighted to see that the scenes are numbered logically in the Story View (which is truly the only way to go, right?). Looking for Storyline training or support? Check out these awesome live, online, instructor-led classes. Also, if you need help with Storyline development or if you'd like one-on-one Storyline mentoring, we've got you covered. Adding a hyperlink to an interactive object in Adobe Captivate has never been a problem. Select the object (click box, button, or text entry box) and, on the Properties Inspector, Actions tab, change the On Success to Open URL or file. Type the web page address into the URL area and that's it. Hyperlinking text within a text caption isn't quite as straight forward. After adding text to a caption, there isn't an Action tab on the inspector (therefore, no apparent way to create a hyperlink). There is a way to accomplish the task, however. 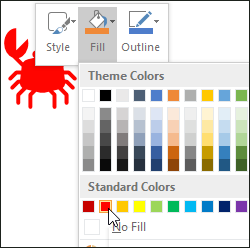 From within the caption, select the text you'd like to be clickable (you have to highlight the text, not just select the caption) and then, on the Properties Inspector, Character area, locate and click the Insert HyperLink icon. From the Link To drop-down menu, choose Web Page and then, in the field below, type the web address you'd like to use. 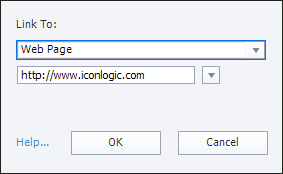 In the image below, I've linked a single word to the IconLogic website. The appearance of the text can easily be changed via the Character options on the Properties Inspector. If you need to learn Adobe Captivate, we've got you covered with an awesome number of live, online classes. If you need help developing your next eLearning project, or if you just need some quick one-on-one mentoring, we've got you covered there too. We are proud to announce that our newest book, Adobe RoboHelp 2019: The Essentials workbook is now available on Amazon.com as both a print book or eBook. “Adobe RoboHelp 2019: The Essentials” is a self-paced, step-by-step workbook that teaches you the essential RoboHelp skills needed to create and deliver user assistance (software/application help systems, operations manuals, policies and procedures... the list is endless). Step-by-step instructions guide you through the process of creating new RoboHelp projects and topics from scratch. Learn to import content from Microsoft Word and HTML files. Enhance your topics with graphics, and interactive multimedia (using eLearning content created in Adobe Captivate). 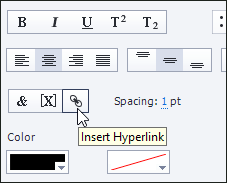 Improve the navigation of your content by adding hyperlinks, indexes, and glossaries. Increase your production efficiency by learning about cascading style sheets, variables, snippets, and master pages. Learn how to control the look of final output via Skins and presets. Deliver content that can be consumed on any kind of device including desktops, laptop, smartphones, and tablets using output such as Responsive HTML5, WebHelp, HTMLHelp, and even eBooks. You can order the print book here and the eBook (Kindle) here.